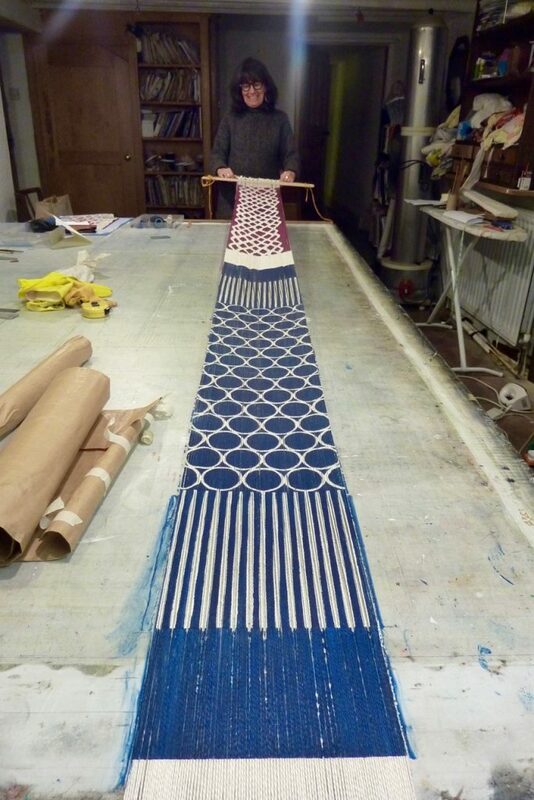 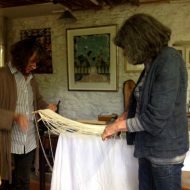 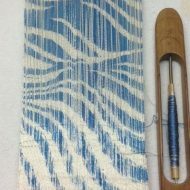 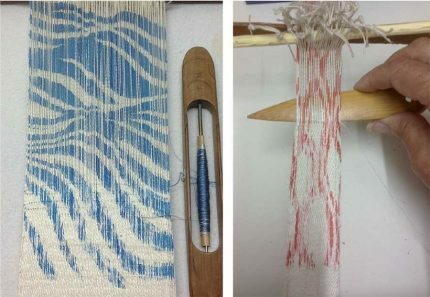 What happens when two makers come together who share a fine art training but have different weaving and printing expertise? 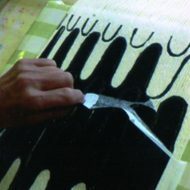 They produce a series of technical samples, learning from each other’s skills. 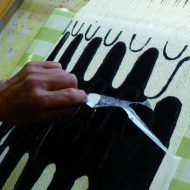 Bella Peralta is a weaver and artist, Jenny Bicat is a textile designer, who uses painting and hand screen printing techniques to create unique garments. 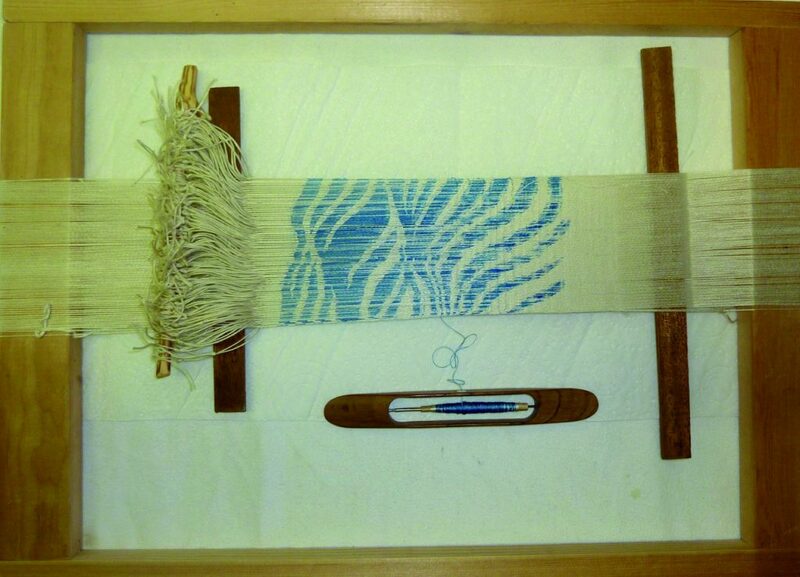 Some of the tools they used through their project included Theo Moorman’s shuttles and beaters. 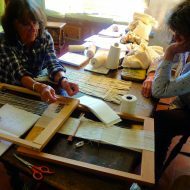 Like Bella’s parents, Theo Moorman was an integral part of the community of practice associated with the Gloucestershire Guild of Craftsmen. 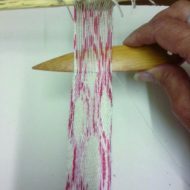 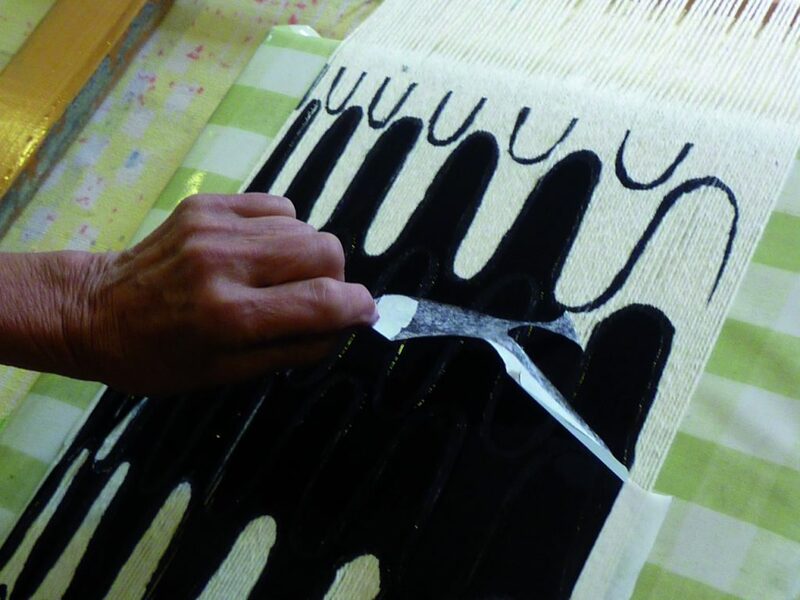 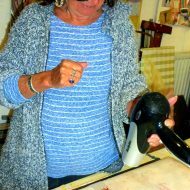 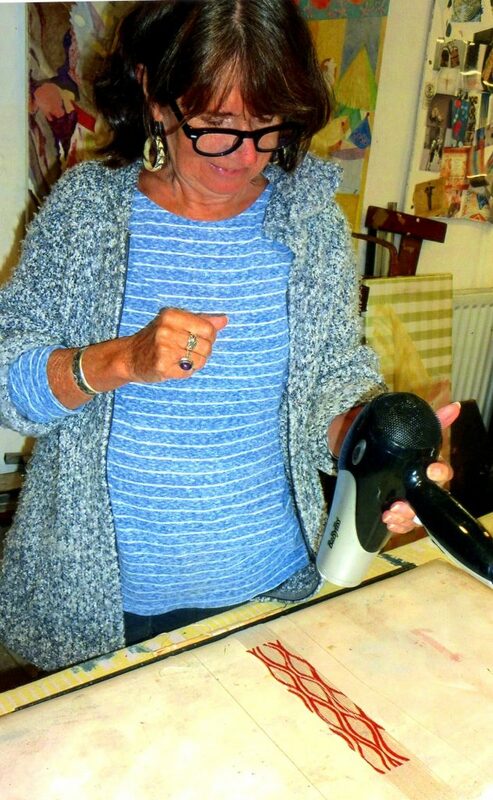 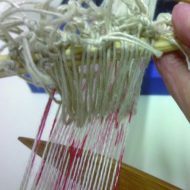 Bella learnt the practicalities of printing and painting on warps: the chemical properties of dyes, binding agents, and different techniques of steaming the printed yarns to x the colour. 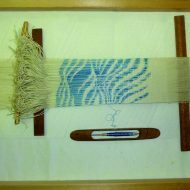 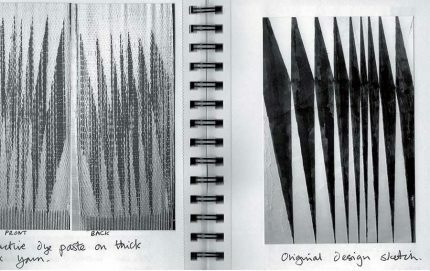 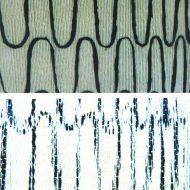 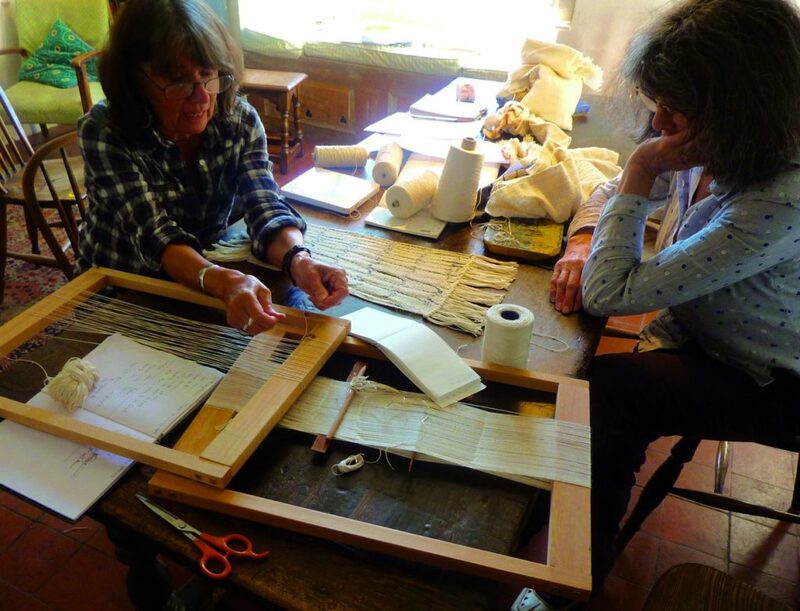 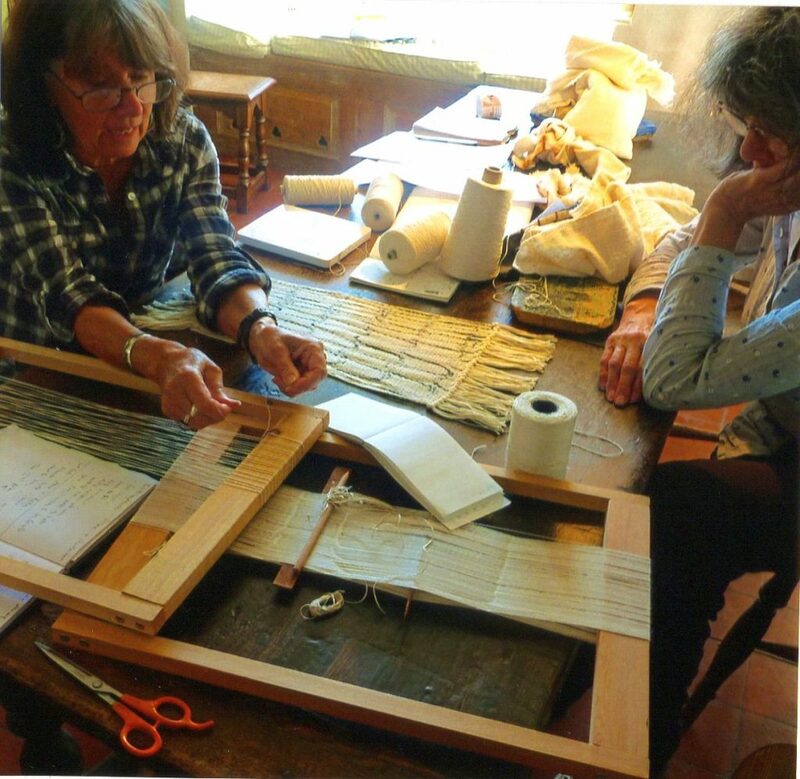 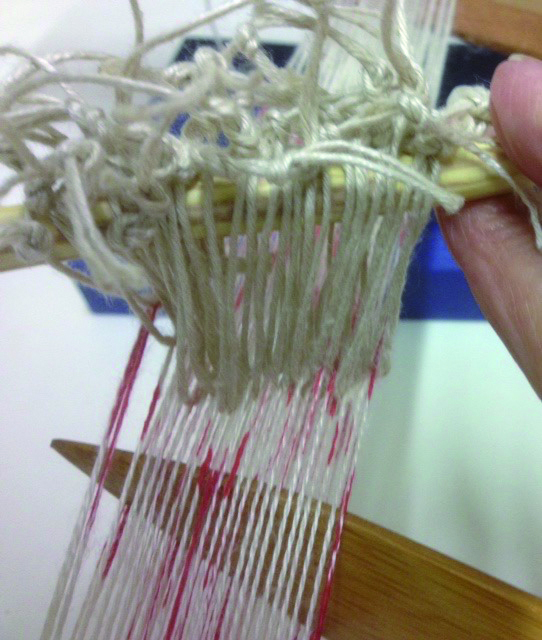 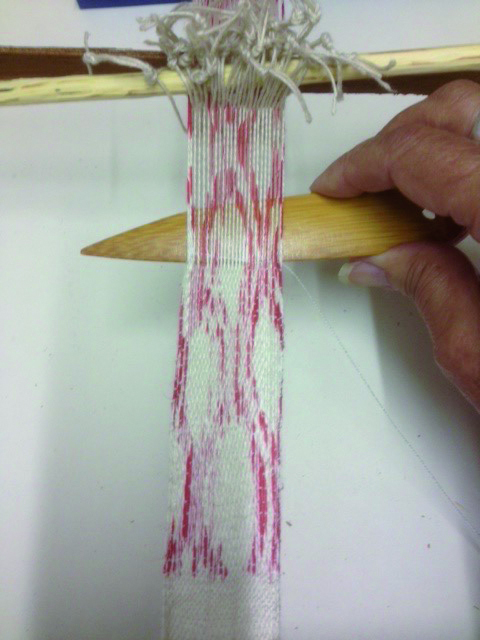 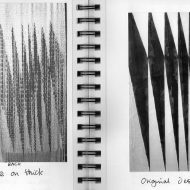 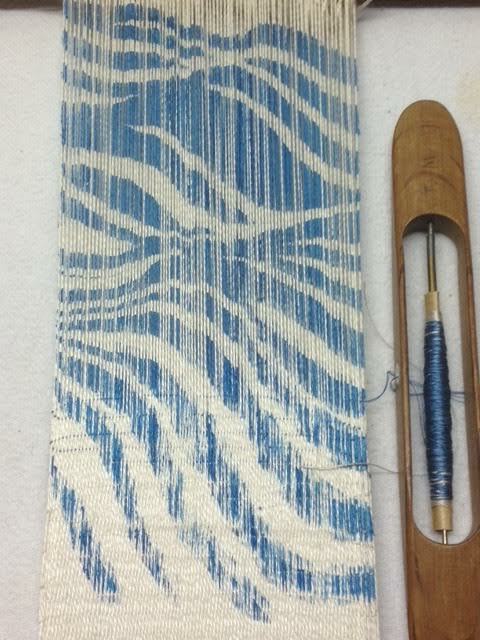 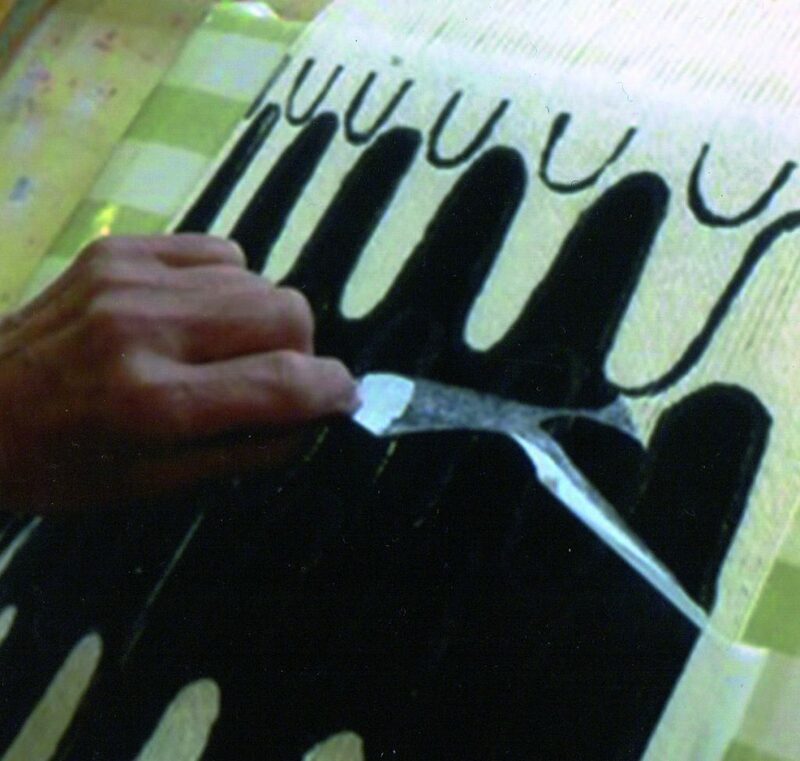 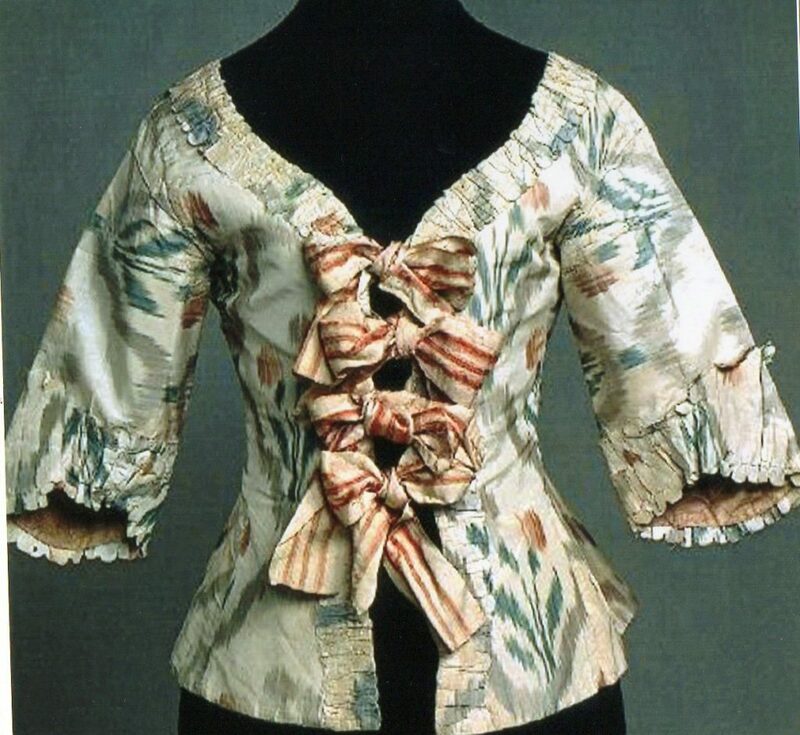 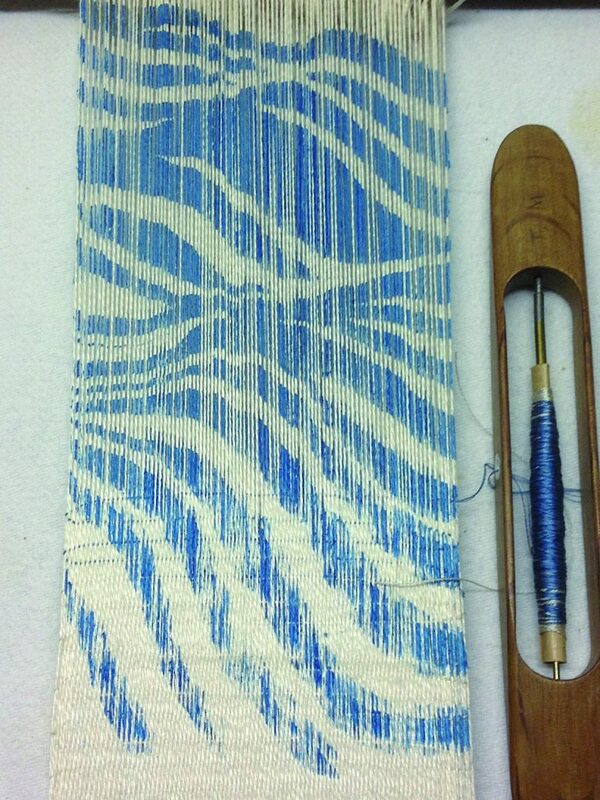 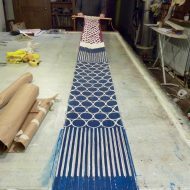 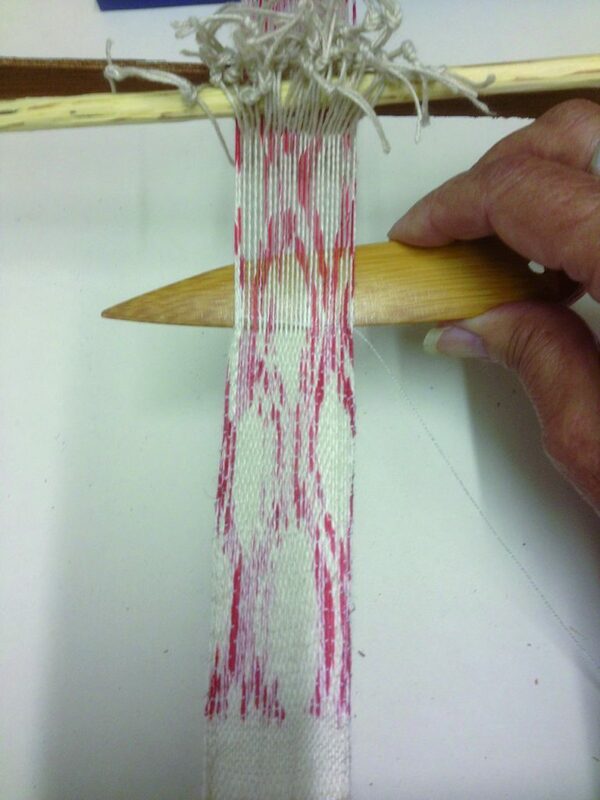 They worked with cotton and silk yarns for their own printed and painted woven samples.Their experiments allowed the pair to learn how the painted and dyed threads of the warp moved as they became integrated into the woven design. The next step is to print a quantity of warp threads to enable them to make a length of handwoven printed fabric for a garment. 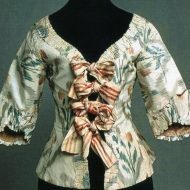 This entry was posted in categories; Two Make.